Demonstrators took to the streets of San Francisco Sunday afternoon for a peaceful protest in the wake of violent attacks committed against members of the LGBTQ community in the region. The rally kicked off at Jane Warner Plaza in the Castro neighborhood with demonstrators brandishing "Stop the Violence, Stop Hate" signs as residents and community members clamor to regain a safe living environment. Tommy Castellani, who was attacked early Thursday morning, said a group ambushed him outside a Castro night spot and used his bicycle helmet in the assault. "They used it to bash my face in," said Castellani, who was hospitalized and required surgery to repair his injuries. "They broke my nose, fractured my jaw in several places. I've been told I have a limited concussive memory loss." Tommy Castellani in the hospital after he was attacked outside a night spot in the Castro last week. Police did not have a motive for the attack, but Castellani and the Castro community claim its hatred towards the area and part of an on going problem. "There's continuing violence and harassment and bullying of LGBT people in San Francisco," Supervisor Scott Wiener said. Wiener has pledged tougher laws to protect assault victims. "We have to make sure our hate crime laws are where they need to be," he said. Members of the San Francisco Police Department, Castro Community On Patrol and Weiner's office are working in unison to cut down on recent hate crimes and violence. Activists say they will also begin to increase patrols and teach people in the Castro community how to watch their backs. Another man, Jeffery Lafayette, went public with an alleged assault in February by posting about it on Facebook. 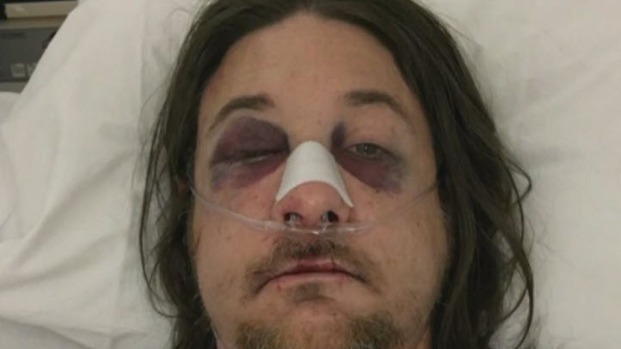 Lafayette said a large group of people attacked him on Feb. 6 outside a bar because he is gay. Meanwhile, Castellani is wondering why he was singled out. "I just want to know why we have to be victims or targets," he said. "Was there not a better solution they would have? I know I'm a pretty OK guy."